Use this infographic to help you understand what happened, why is happened, what is means for teachers/students, and what you can do now to set your students up for success. Mostly, it means more change. Measurement Inc., the company responsible for implementing state-wide computerized testing, is rushing to print paper test for the writing assessment. We don’t know yet what the format for Part II will look like on paper. With the number of technology-integrated questions that require students to manipulate texts, sort information, and craft written responses, there are many unknowns. Continue teaching TNReady-aligned standards. TNReady will test the same standards using the same question types. Think about how the question types can be adapted for a paper test and put them in front of your students ASAP. Giving your students authentic, aligned practice is in your control even as the test continues to change. 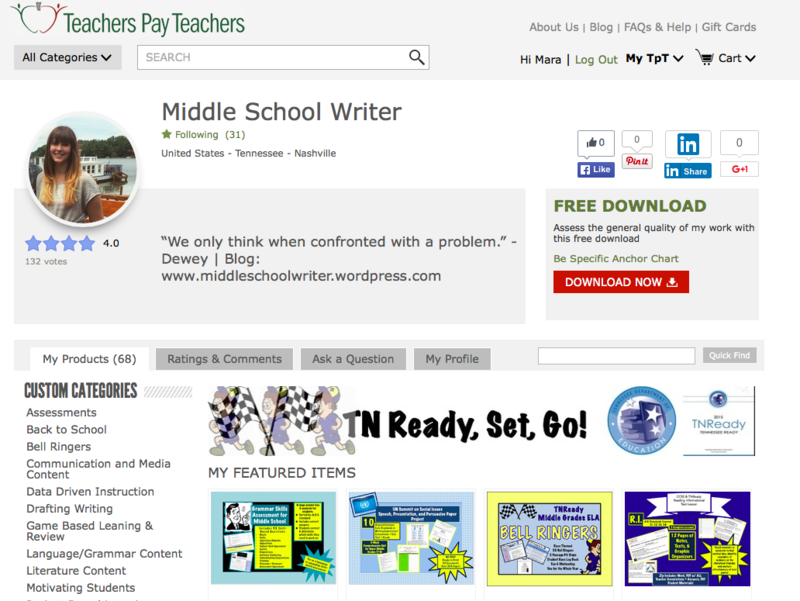 Middle School Writer’s Teachers Pay Teachers Store.